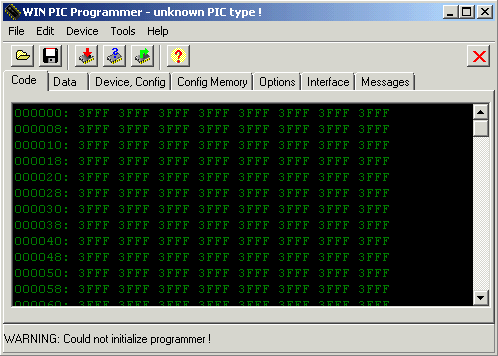 This is a simple program for Win95/98/XP to program the PIC firmware from a HEX-file (the type generated by Microchip’s MPLABTM) into a PIC microcontroller. Most modern PICs (like the PIC16F84, 16F628, 12F675, dsPIC30Fxxxx) can be reprogrammed many times, because the program can be erased electrically (the code is stored in a FLASH, not a simple ROM). Some of the “very simple” programmer interfaces can be used, a few of them are described in the manual. WinPic now also supports JDM PIC-programmer 2, Velleman K8048, the Hoodmicro, the Willem interface, El Cheapo, and many others. The only(?) interfaces which WinPic doesn’t support are Microchip’s “PicStart plus” (far too expensive) and “PicKit2” . and other “quite compatible” devices, if you have the datasheet and a text editor ! Help file including with this software. pl help pcb software ic capacitor resistans coil ect. Excellent post! Keep up the sweet work! are simply too excellent. I actually like what you’ve got here, certainly like what you’re stating and the way in which through which you assert it. You are making it enjoyable and you still care for to keep it wise. I can not wait to learn far more from you. That is really a terrific site. Thank you so much,I have tested this software with my jdm programmer it works great.Best of luck to you and blessings. огромное спасибо за Ваш WINPIC тестировал на XP,SEVEN летает другим на зависть.Вот если и AVR добавить -лучше проги не сыскать!! I have a problem in win 7 .Is this prog work in win7?? try PICPgm! It works on Windows 7 and is very simple to use! i find the simple pic programmer my lights future..
Pl let me know about the download of android os based winpic version. 1 Pings/Trackbacks for "WinPic PIC Programmer Software Download"